Welcome to Goodyear Tires & Auto Repair, leading Santa Cruz Kia service and repair shop. Goodyear Tires & Auto Repair is a full-service auto repair shop ready to help you with all Kia service, repair, and maintenance needs – whether you drive the economical Sedona, lively Kia Sportage, or the luxury Kia 900. Our shop can perform manufacturer recommended maintenance, oil service, brake repairs, as well as complex diagnostics and repairs, including electrical system diagnostics and repairs, transmission repair, water pump and timing belt replacement – to name just a few. Out nationally ASE certified mechanics will get your Kia back on the road, usually the same day. At Goodyear Tires & Auto Repair in Santa Cruz, we have not only highly skilled mechanics, but also advanced equipment necessary to diagnose and repair the issues your Kia may face. 2007 Kia Rio is known for engine problems, 2013 Kia Optima is known for experiencing steering problems, and 2002 Kia Sedona has been known to face electrical issues. 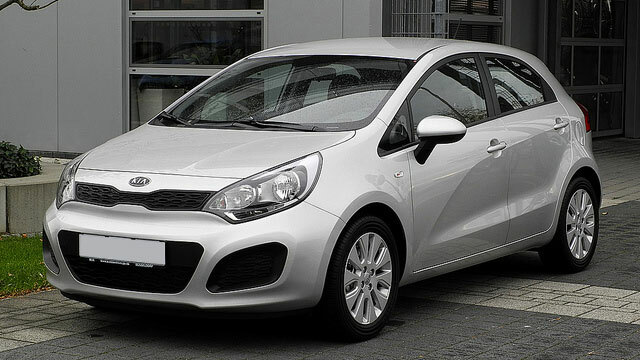 But overall Kia is a cost-effective vehicle that will get you where you want to go. But if you do notice anything out of the ordinary happening with your Kia, bring it to us, and we will diagnose it, and repair whatever ails your vehicle. Being a full service Santa Cruz repair shop we provide advanced diagnostics, brake pad/rotor replacement, brake repair, brake pad/rotor replacement, AC recharge, air conditioning repair,water pump replacement, timing belt replacement, suspension problems, exhaust system repair, clutch repair, cv joints, electrical system repair, evap leak, emissions problems, serpentine belt replacement,radiator replacement, fuel pump repair, oil leak repair, anti-lock brake repair, shocks and struts, spark plugs replacement, coolant leak repair, check engine light diagnostics and repair, mufflers, 12 v battery, and smog check as well. Throw in the tires, and we are your one-stop Santa Cruz auto repair center. So, when your Kia needs a minor service or faces major repairs, bring your car to us. You will meet our friendly staff and experience superior customer service and friendly staff. Setting up an appointment is easy – you can do it online, or give us a call.